Codex Vindobonensis S. N. 1600 contains the five relaciones of Hernán Cortés, two relaciones by Pedro Alvarado, the relación of Diego de Godoy, the relación of the journey of Francisco Pizarro and Diego Almagro, the message carried by Antonio Giral to Alvaro de Saavedra Ceron, and the patent authorizing the original twelve Franciscan friars to come to Mexico. Manuscript book on parchment − 706 pp. This is a partial facsimile of the original document, Cartas de Relacion de la conquista de la Nueva Espana: the facsimile might represent only a part, or doesn't attempt to replicate the format, or doesn't imitate the look-and-feel of the original document. The facsimile (black and white, 270 x 370 mm.) is in the same size as the original document. The pages are represented on a larger white background. 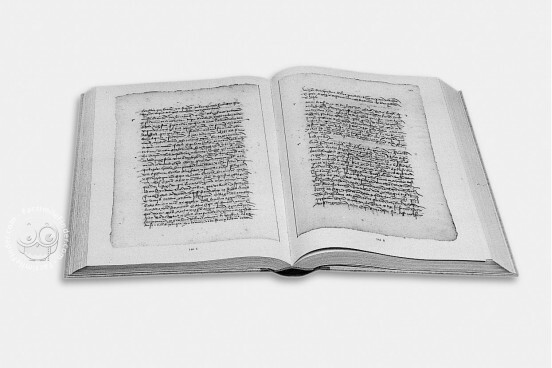 The edition features both facsimile and commentary in one volume. The commentary is interspersed within the facsimile pages. The volume includes a short bibliography.